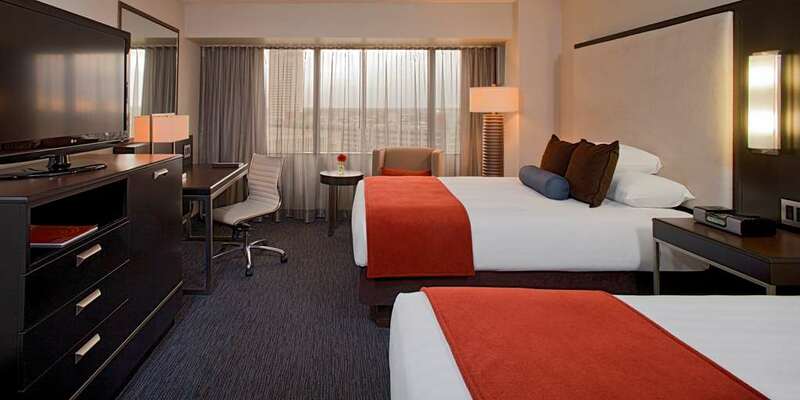 Newly renovated, modern guest rooms and a brand new Stay Fit Fitness center give Hyatt Regency Columbus guests a relaxing and enjoyable visit to Columbus, Ohio. The hotel also features a full service restaurant and bar, indoor pool, sundeck, 70,000 square feet of renovated meeting space and free wireless Internet in public areas. Nationwide ArenaHome of the National Hockey League, Columbus Blue Jackets hockey team. Capacity 18,000.